Amplification, particularly in the context of Jazz and other musics has been in use for decades. It is particularly useful in bringing focus onto certain textures which would be otherwise too quiet to hear in an ensemble setting. There are, however, some factors that must be considered when using amplification. Any pickup other than a microphone will color the sound to a certain degree. 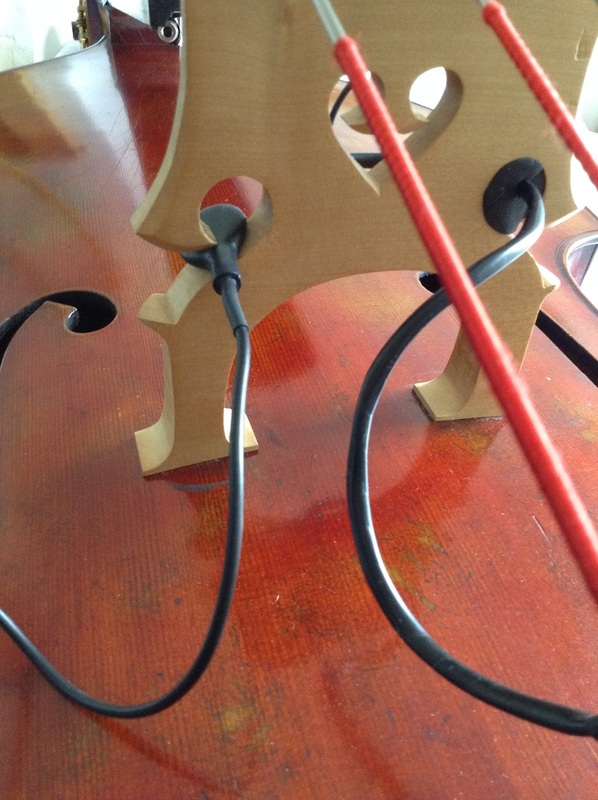 A microphone is undoubtedly the most natural sounding method of amplifying the double bass but has certain limitations with regard to volume as feedback presents a problem. However, recent developments in pickup manufacture have brought the quality of pickup sound close to that given by using a microphone. The placement of the pickup will have some bearing on what techniques are available. 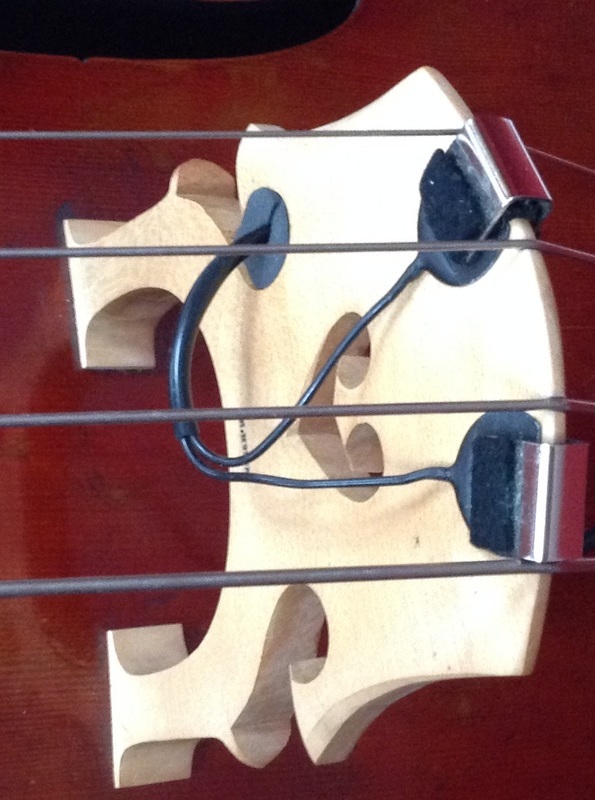 If a microphone is used then it can be assumed that all techniques are available, this will similarly be the case if the pickup is mounted under the bridge foot. 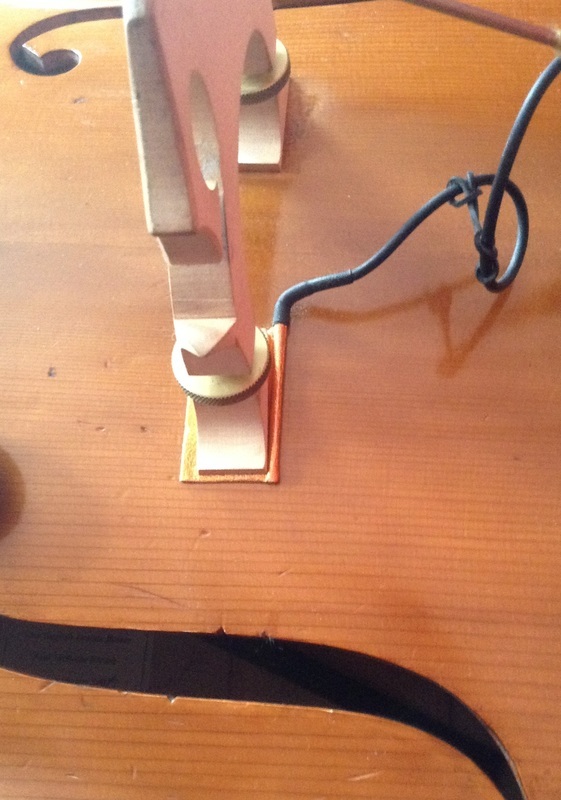 However, if the pickup is mounted in the bridge wing (see fig 1) then certain techniques involving the bridge will not be available. Several composers have composed works which employ amplification that is controlled by a foot operated volume pedal. Such usage allows the performer to selectively amplify certain textures and sororities or can even be used in such a way that it provides a counterpoint to the acoustic discourse of the instrument. Barry Guy uses the following notation to demonstrate the variable levels of amplitude and other composers have used a similar notation.